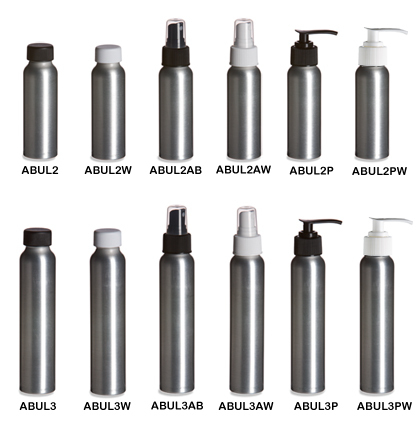 With a tall seamless body, these aluminum bottles offer a refined modern look for your product. They are good for beverages, health and beauty products, chemicals, and other light sensitive products. Shatterproof and 100% recyclable, these bottles are lighter than glass and more durable than plastic. Choose with a lined cap, sprayer, or pump, all included in the bottle price.